Look above, what does this picture tell you? That the iPhone XR is no Gigabit-LTE phone, that's what. 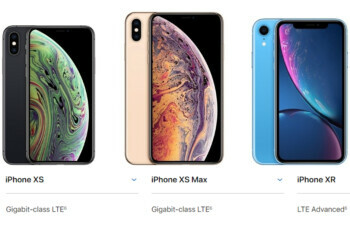 Apple's Phil Schiller touted from the stage the other day that the new iPhone XS and XS Max are joining the family of Gigabit-LTE phones. That basically means 1Gbps and above LTE download speeds, if your carrier can provide those of course.